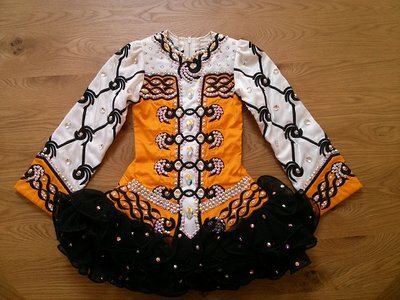 This beautiful Gavin Doherty dress is only a year old. 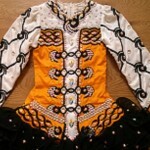 Worn by a petite under 12 dancer but would fit an 8 – 10 year old. 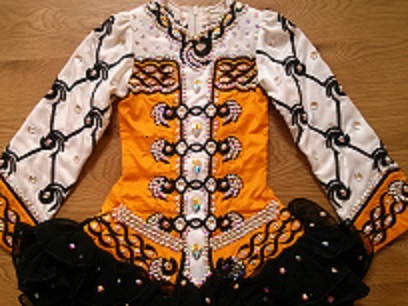 Covered with over £400 of Swarovski crystals and really sparkles on stage. A little wear on cuffs but otherwise in excellent condition. Bloomers and head band included. Asking Price: £680. Shipping costs are included for my own country, overseas shipping is extra. Sale is final.